Racoon hunting is one hunting activity that can be incredibly rewarding especially for those who want to scratch their hunting itch. However, those who go raccoon hunting will always attest to the fact that dogs can be of huge help when conducting this kind of activity. However, those who are dependent on dogs for this are left with very little to do when they don’t have their trusty companion near them. Hunters often refrain from going out alone without a hunting dog by their side, even though they can do the same on their own. If you are planning to hunt for raccoons alone, the way in which you approach your prey and the area that you map out can make a considerable difference and can affect the efficiency of your hunt. In this article, we will be going over all that you need to know about hunting raccoons without your trusted hunting dogs. 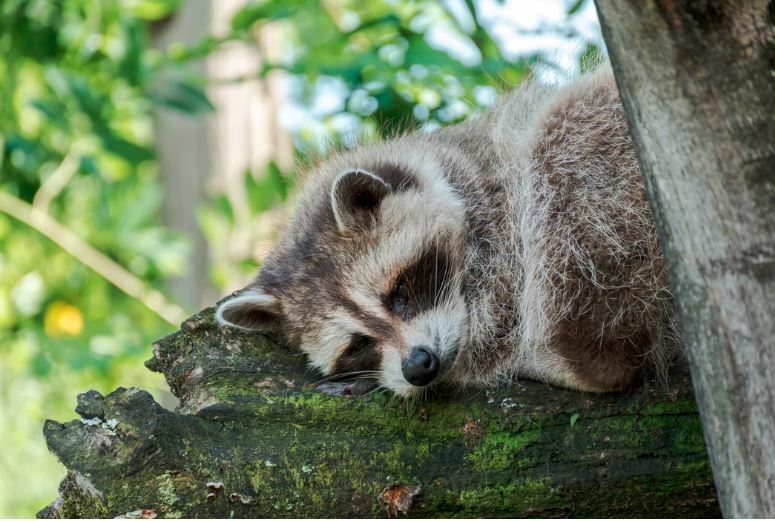 The task of actually hunting down raccoons might not be overly easy, but it is definitely something that you can pull off if you have the right tools and the right kind of information. The first thing that you should know is the location in which you are likely to find the most raccoons. These animals generally are attached to their habitat, which is what makes it the perfect spot to find a large number of raccoons. However, finding this habitat is not as easy as it sounds. You may need to scout a bit and play on some detective work to deduce where the raccoons might be hiding. One of the best places to find raccoon nests is near water bodies. This is because raccoons depend on sea creatures for their food. The natural body that you are looking around should be one that was naturally formed, and which contains a fair amount of fish and sea creatures. When hunting for raccoons, one phenomenon is that they often move alone, and rarely ever in groups. The only time you will find raccoons in groups is when they are eating, or during mating season. In these two instances, raccoons will generally preside near their nest, which is usually found in trees or in areas that have thick bushes or shrubs. Normally, when hunting out in the wild, you depend on your hunting dog to be able to sense the nearby raccoons and scout out their hiding spots. However, if you don’t have a dog with you, you have to rely on your own senses to be able to find these animals and hunt them down. Having the right tools to make this process easier is incredibly important, and something that you should prepare for before you set out on your journey. Before you set out for your trip, make sure that you have all of your shooting equipment ready and in good working condition. At the same time, make sure that you have a good light source that you can use hands-free. This is because raccoons can be hard to spot, especially if you are hunting at night. Hunting raccoons isn’t a quick job and require a certain amount of patience to get through it. Make sure that you are carrying enough food and water to keep you going through the day. Once you are equipped with all that you may need, the next step is to figure out what kind of method you want to use to be able to catch raccoons. This is incredibly important since it determines how easily you can catch your prey. Ensnaring is considered one of the easiest and best methods to be able to catch raccoons. This is especially useful for those who don’t want to venture into the wild for an extended period of time, and simply want to set up something that they can come back to. Raccoons are omnivorous creates, which means they will eat almost any kind of food that you set as bait. Remember to set up your trap well and in a manner which it remains hidden until the raccoon steps on it to take away the food. Field hunting is not the easiest approach to finding raccoons but is definitely effective if you have all the right equipment that you would need. Trail cameras are a must when using this kind of method to catch raccoons, and are generally the best when trying to go out into the woods at night to be able to catch raccoons. Sound is one of the best tools that you can use when trying to hunt in this manner since they can attract raccoons, bringing them closer into your line of vision. Still hunting is a method of hunting that you can use to catch your prey, but be wary of the patience that it requires for this. Still, hunting entails finding a place where raccoons normally traverse through and setting up there to catch your prey. During this, the hunter has to camouflage themselves in a way that makes them unnoticeable. Being still and not making any noise is crucial to this. Once you do see raccoons passing by, you can make your move and shoot them down. The stalking method of catching raccoons is generally considered to be efficient for those who need to traverse a large area in order to catch their prey. Areas that have a high number of trees bearing fruit are generally best to move around in and are the locations you are most likely to find raccoons in. The idea behind this method is to carefully stalk your raccoons until you have a clear line of sight. If you spot a raccoon, try shining a light on them to predict their movements. In these instances, raccoons will usually run up the trees, and shining a light on them in the trees is an effective method of bringing them down. Once you do, you can easily trap them or catch them using some kind of bait.